Happy New Year from Ven. Khenpo Tsewang Dongyal Rinpoche! Ven. 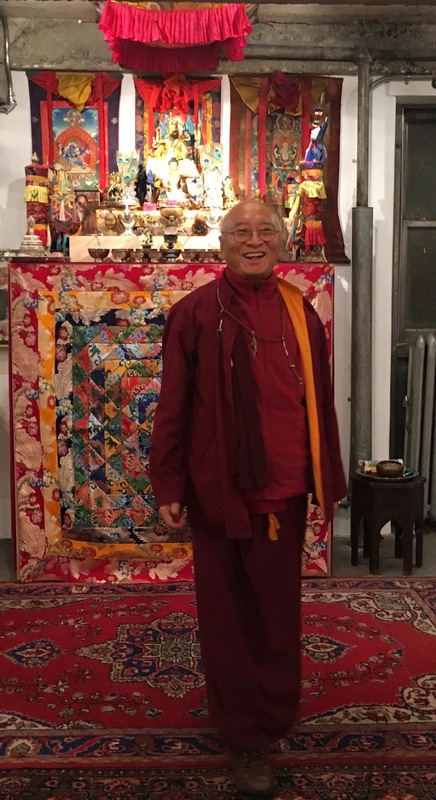 Khenpo Tsewang Rinpoche led Vajrasattva and Vajrakilaya Meditation Retreats in NYC from December 31 – January 1, 2018. Happy Anniversary of His Holiness Dudjom Rinpoche, Supreme Head of the Nyingma School of Tibetan Buddhism!